PAX West 2018 allowed BioWare to open up more about what players can expect from Anthem. As story details finally received the spotlight, so too did other aspects. For instance, a little more about the game’s conversation system has surfaced. Each dialogue exchange features two options from which players can choose. BioWare’s ditching its famous dialogue wheel seems more than a tad off course. The two-option system indicates an effort to simplify things. Despite Anthem’s representing an evolution of the BioWare formula, it certainly isn’t what gamers have come to expect from the studio. A shared-world shooter will undoubtedly appeal to a wider audience, one that may not be familiar with the intricate dialogue options typical of a Mass Effect or Dragon Age. Anthem’s Executive Producer, Mike Darrah, addressed this during a press briefing. However, just because the options are visually binary doesn’t mean they’ll be thematically so. Each conversation packs significance. In past BioWare titles, dialogue exchanges with minor characters have been internally referred to as “bronze conversations.” This results in those talks not bearing the same weight as conversations with main characters. 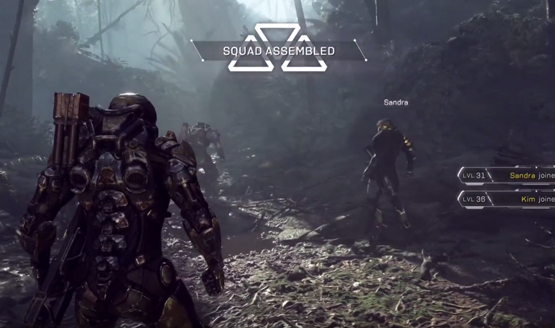 In Anthem, BioWare aims to ensure each conversation is of equal quality. The idea ventures beyond dialogue itself, though. Facial animations, lighting, and more are all meant to be of a similar quality across the board. Anthem launches early next year on February 22, 2019.